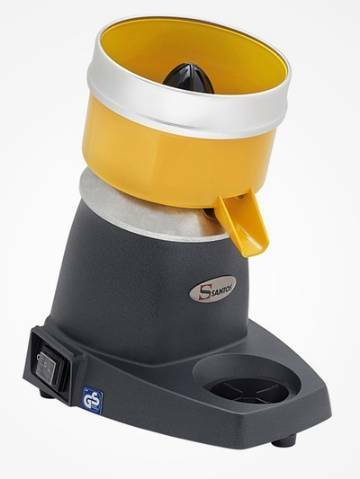 Santos 11C is perfect for quickly creating freshly squeezed citrus juice. It comes with 3 cones allowing you the flexibility to make juice from Oranges, Lemons, Limes and Grapefruit. This powerful juicer is made of chromed aluminum casting with stainless steel housing. It is Commercial NSF Certified juicer, built to last, with a heavy duty and quiet induction motor. Includes 3 removable squeezers for oranges, lemons, limes, and grapefruits.